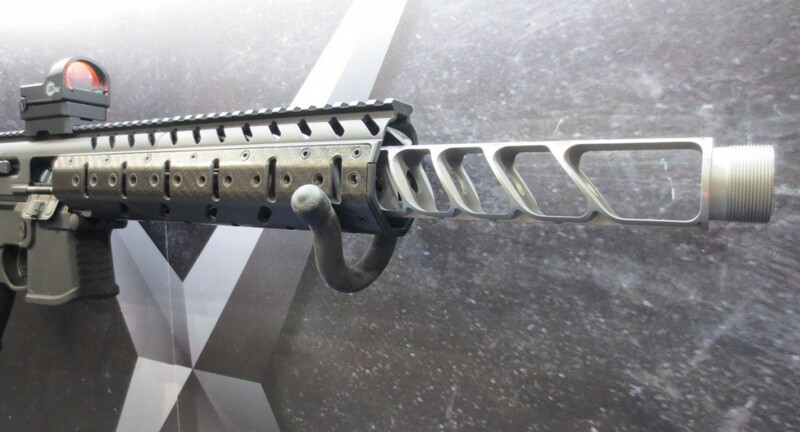 The Bureau of Alcohol, Tobacco, Firearms and Explosives agreed to once again delay its final classification of a SIG Sauer muzzle device, which SIG contends is a muzzle brake but ATF classifies a silencer. The U.S. District Court in the District of New Hampshire issued the order, signed by both parties, on Sept. 9 and extended the stay of litigation to Nov. 1. According to the order, after re-examining the item, the ATF concluded that it was still a silencer, rejecting SIG’s argument. SIG has until Sept. 19 to submit a response. SIG and the ATF took a break from the argument in June, when the two parties agreed to extend the ruling to Sept. 17 so the ATF could re-evaluate the device. SIG filed the civil suit against the federal agency in April, a little more than a year after introducing the muzzle device. The item in question is the muzzle of the SIG MPX carbine. Its 9.5-inch muzzle brake welded to a 6.5-inch barrel can double as the internal components for a silencer. If equipped with a metal cover it would suppress sound. Unless the ATF changes its position or SIG gives up, the dispute will likely continue in court. There’s no set date for a final verdict.